Your most luxurious and underused privilege is prayer. It is mysterious and yet instinctively natural. When there is no where else to turn, your heart reaches up. But you can easily miss the real power of it, the real advantage of being able to pray to a present God. One who has pierced time and eternity to hear you, to listen to all your words, to be your refuge in the world. It doesn’t matter how long or how many words you use. What matters is that you are connecting to your Creator and all that it aligns when you do. Some days you may have lots to say. Some days you may not. What matters is spending time in his presence. 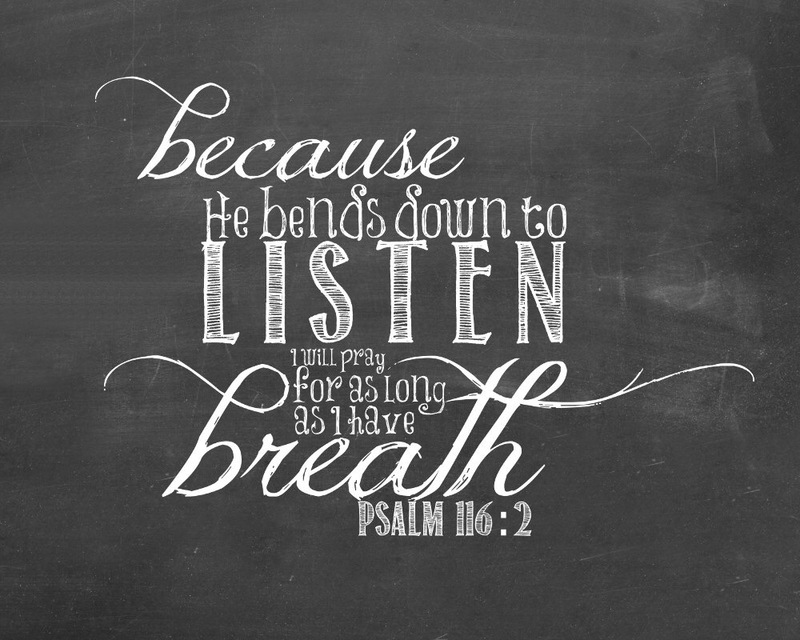 Find the time to connect to your Creator today and lay before him all that is in your heart because he is bending down to listen. 🙂 Love this! I miss our coffee talks. Not much new in my world. It’s actually slowed way down now that the business is gone and boys are grown. I’m enjoying the quietness in my world. I can finally sit a while and feel like there’s nothing urgent to do or somewhere else I’m suppose to be. God is good. Oh, let Bobby know we are finally getting a “real” paper cutter for church office! Woohoo. Much love to you and all the boys. I miss our coffee talks too! So much. I can’t even imagine you in a “slowed down” life. Seasons change, Jesus does not. Come go with me to the beach and tell me all about it. And Bobby said, “About time”. Love you.